"It's been a pretty amazing month for Toronto! We're hot off the end of the all-around successful Pan Am Games, we've got a beloved new sign in Nathan Phillips Square, and we're getting tons of international attention for being all-around amazing. Canada recently regained our (rightful) top spot as having the world's best reputation, from our welcoming people to beautiful landscape. As usual, we came out on top on the worldwide Safe Cities Index. To top it all off, we're also the best worldwide city for young people and now Metropolis' most liveable city in the world! The TTC's recent investments in infrastructure and our city's overall walkability have come a long way – and they'll continue to improve with the Eglinton cross-town, Union-Pearson Express, Billy Bishop pedestrian tunnel, and more! Toronto's bracing for a population boom in the next 15 years, but as the city's outer limits stretch, every corner of Toronto should remain just as accessible. There was a time when "Canadian cuisine" didn't mean much more than venison, maple syrup and poutine – but not anymore! As our city diversifies, we've become a melting pot for culinary styles, creating some of the best fusion around and pumping out a few world-class chefs while we're at it. From Susur Lee's famous fusion style to new spots like Patois and Alo, we've elevated world cuisines to something unique to Toronto. Plus, we've done it without ruining the staple spots serving traditional old-country fare from Etobicoke to Scarborough to Richmond Hill. Not every city can boast a floating park that doubles as a downtown air travel hub, but Toronto's not just any city. Even on a packed ferry – which you can now get tickets for on your phone! – once you get to the island, the city's in the distance and everyone's ready to relax. Plus, more Island events like Bestival and the Nike Marathon mean more people than ever are excited about taking a day outside the concrete jungle. Toronto is unlike many large cities because there's a real sense we're in it together. Remember the woman who lost her purse on a streetcar, only to have multiple passengers and drivers stage a relay to get it back to her? That's the kind of camaraderie you'd never find in, say, New York. That kind of pride is why we're both one of the cleanest and safest cities in the world! 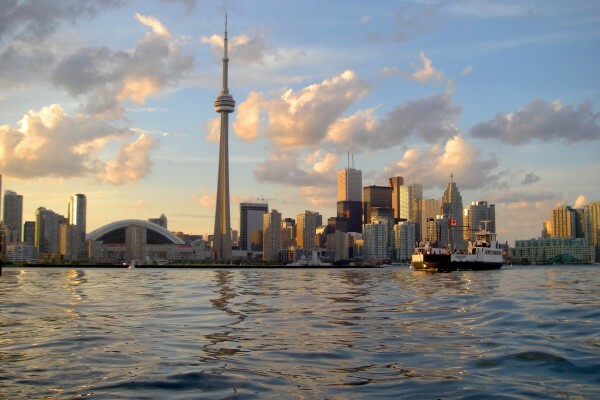 Toronto's getting bigger by the day, both in population and infrastructure. As central housing helps more people experience walkable, livable areas of the city, transit makes new paths possible, and international enrollment in our universities and colleges grows, we're sure things are only getting bigger and better from here!"